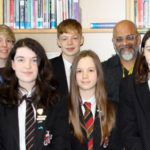 Students took up the challenge to write a poem using only text from a page of the Oxford Schools Dictionary – P for ‘poem’, Dr Hussain from Leeds Beckettt University judged the entries to be of a very high standard. 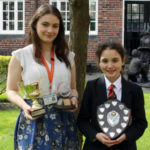 Well done to our students who were involved in the Yorkshire Swimming Championships. Sassy, Harris and Louisa all came away with medals in each of their events, a fantastic achievement. 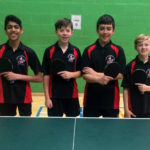 The U13s table tennis team have become Regional champions and now go through to the National finals, this is a first in the history of Harrogate Grammar School, a spectacular achievement. Kevin McAleese CBE, former Headteacher, has sadly passed away. 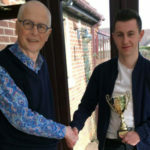 He was a true inspiration during his 10 years of headship and a distinguished educator through his lifetime. Our thoughts are with his family and friends. 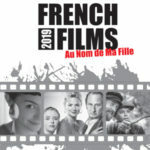 Thursday 28 March at 7pm in the Forum. 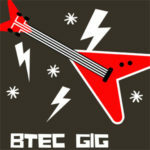 An opportunity to see the BTEC bands and ensembles playing, tickets are £2 or 2 for £3 on the door. 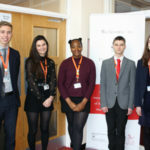 Thursday 4 April at 7pm in the Main Hall. 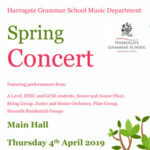 All are welcome to come along and listen to the fabulous ensembles HGS has to offer. 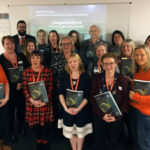 We have been chosen to work towards being accredited with the Carnegie Centre of Excellence for Mental Health in Schools Award, therefore demonstrating a deep commitment to working towards excellent practice in this area.